The FLIR E8 is the most advanced thermal imaging camera in the Ex-Series. It offers the highest resolution in the range, as well as additional features, including, picture-in-picture capability and an isotherm alarm that indicates when an object is above/below a set temperature. 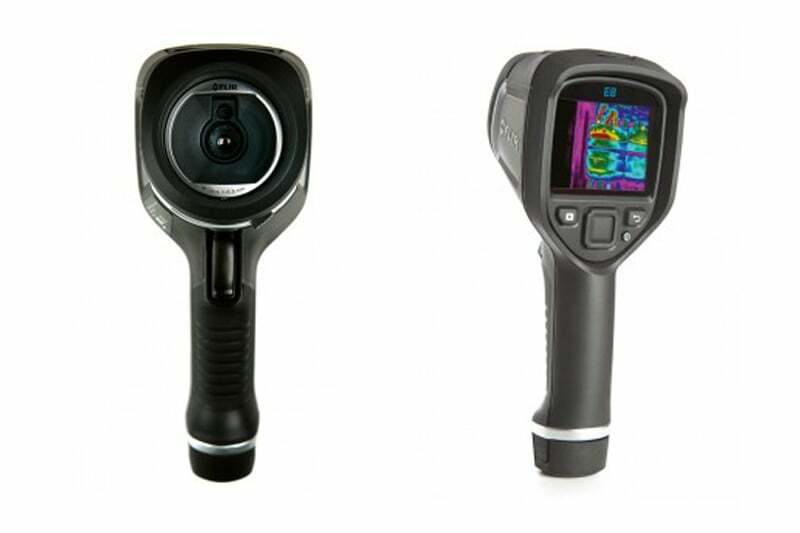 The combined image storage of the new MSX®, thermal and visual formats make the cameras incomparably easy-to-use and provide a much clearer image than other thermal imaging cameras. 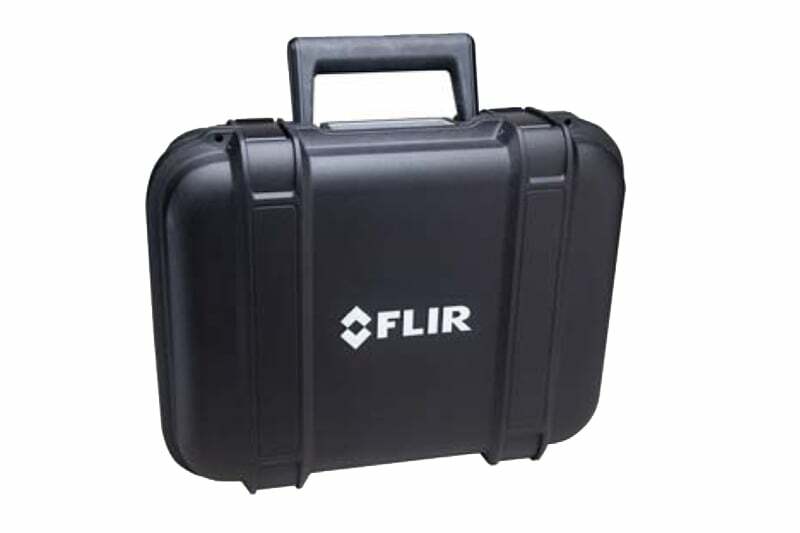 The Ex-Series cameras are sturdy, yet light weight at only 575g.Troubleshoot more efficiently, create detailed reports easier, and share images and findings faster with FLIR’s latest E-Series thermal imagers. Featuring a fresh array of imaging, communication, and productivity tools to help you get more done in a day. Wi-Fi & FLIR Tools Mobile Communication: Connect E-Series cameras to smartphones and tablets with our Wi-Fi app. Stream live thermal video so co-workers can watch along. Import radiometric JPEGs, adjust contrast and color, add more measurement tools, then package images in concise reports and email findings right from the field to expedite critical decisions. Learn more about the FLIR Tools Mobile App. 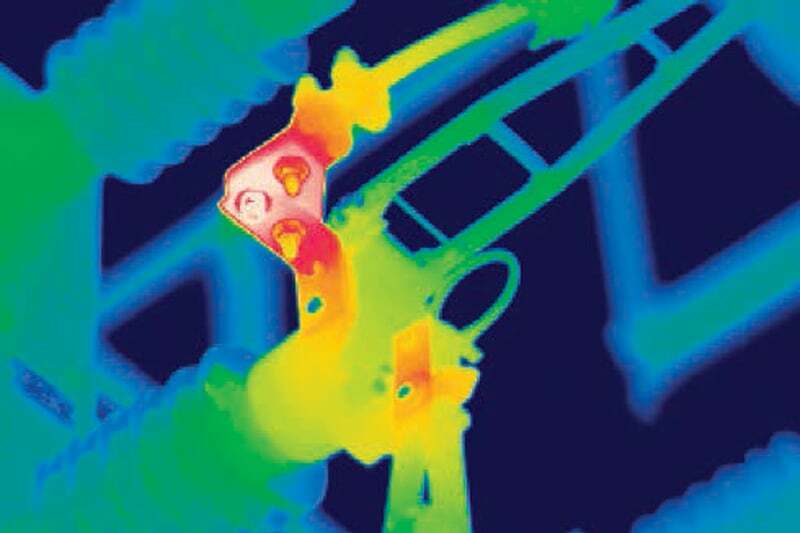 A Fluke thermal imaging camera can save you time and money by finding potential problems before they become costly failures. The FLIR E60 is a small yet powerful thermal imaging camera perfect for use in a variety of applications and demanding environments.